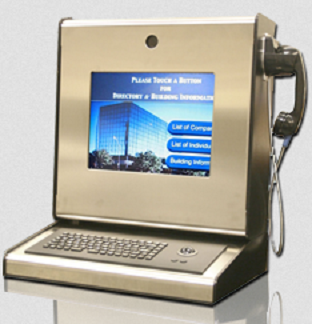 For more than a century, the RedyRefteam has been the leading creator of custom kiosks, touch screen directories, and telephone enclosures for use in your professional location. Due to our thoroughly trained expert technicians and 70,000 square-foot manufacturing facility, we are capable of quickly producing products and assisting our customers on a daily basis. Our personal success has led to the shared success of those we assist, helping RedyRef to become a well-known name in the kiosk industry. Our customers have often claimed that our products are the only units that can meet with their everyday demands, while simultaneously offering increased convenience and easy-of-use. Recently, we interviewed our most frequent clients and asked which kiosks or other productswe have designed were their favorite. Below is a list of the most frequently mentioned items and how they’ve helped many successful businesses maintain smooth daily operations. With it’s large 26-inch LCD monitor that displays in rich, vibrant color, it’s easy to recognize why this unit stands out amongst the crowd. The sleek and simple design leaves no room for confusion, allowing users to determine the easiest method of use as soon as they approach. For owners, the kiosk also offers a base that can be mounted to the floor for reinforced stability. 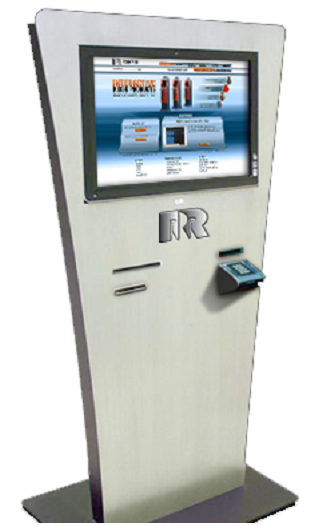 This kiosk was originally designed for the New Jersey Transit Authority, as its simple and noticeable design made it easy for passengers to notice announcements during busy days. Allowing for messages to be displayed across further distances, the Goal Post has become widely popular amongst industries that need to provide information to large groups. Accessibility is made easier than ever with an access panel and locking mechanism to easily reach the 42-inch monitor. 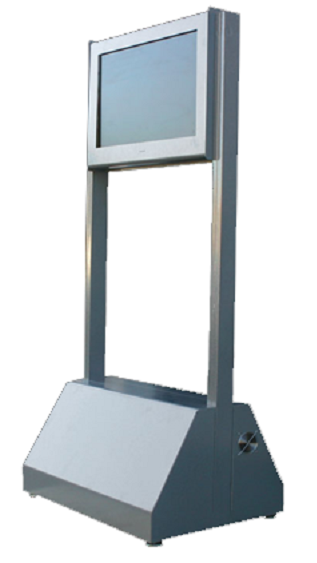 Several of our customers require a kiosk that can withstand the elements, as they must be displayed outdoors or in potential dangerous areas. To meet with their needs we created the Bolt, a kiosk with a back chassis created from ¼” steel and a front panel of 16ga stainless steel. Installed within is a 17-inch monitor, webcam, keyboard, card reader, and computer, all thoroughly protected from harm. Furthermore, we’ve installed a mechanism which captures and removes water that may spill onto the device. Are you one of RedyRef’s pleased customers? If so, has your favorite kiosk made the list or are have you created a custom kiosk you think is even better? Let us know!